"The Queen was deeply grieved. She had spent much of her childhood at Shene, and her children had become attached to the manor: they had all preferred it to the royal residences at Greenwich, Eltham, or Windsor." Henry organised the rebuilding of the house at great expense. 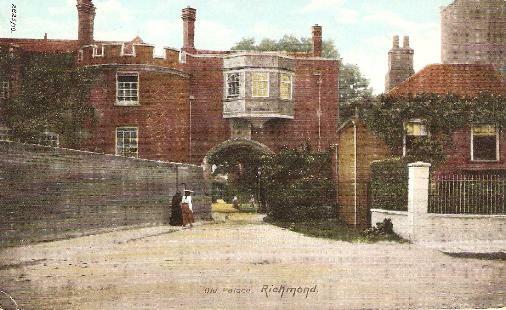 It became Richmond Palace - named after his family title, the Earl of Richmond in Yorkshire. 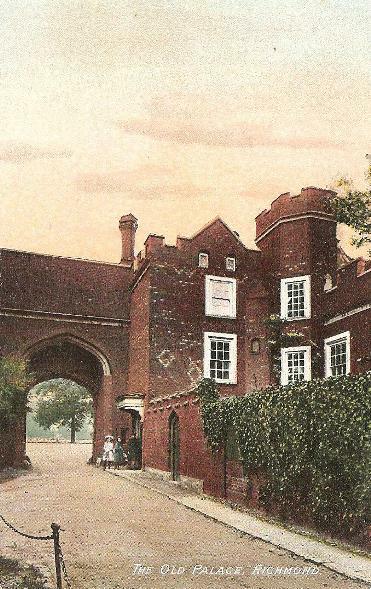 By the 18th century all that remained of the palace was the gate house and the wardrobe. The gateway still faces Richmond Green, with Henry VII's arms above, although the stone is much defaced. To the left of the gateway, fragments of the old palace remain, including two half-towers. Old Palace Yard, inside the gateway, was originally the courtyard of the palace. The largely reconstructed Wardrobe (once a store for furniture and hangings) still incorporates some of the Tudor brickwork. Both it and what remains of the Old Palace are leased as private residences.